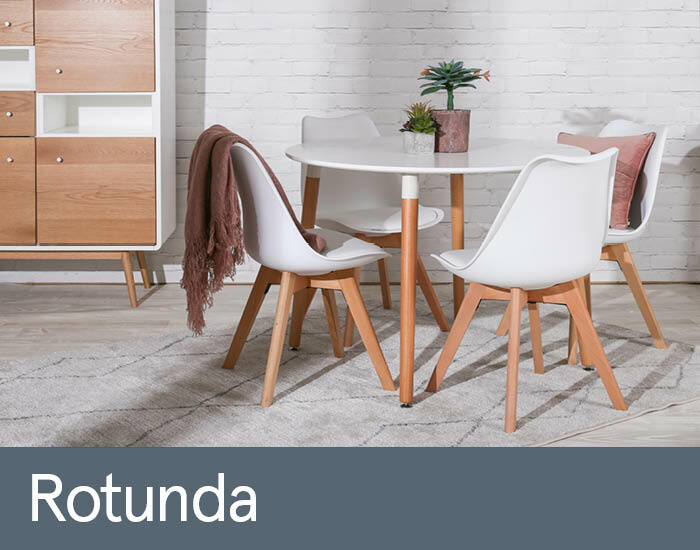 Rotunda will make a stylish addition to any contemporary kitchen or living space. Its Scandi-inspired splayed legs are crafted from solid beech and complemented by a wipe-cleanable, space saving, white painted round top. Fashionable moulded chairs with comfy padded seats complete the retro look.